Eating healthy can be tricky and frustrating at times, especially if you don’t know where to begin. A good place to start is by consuming sodium rich foods in your diet. 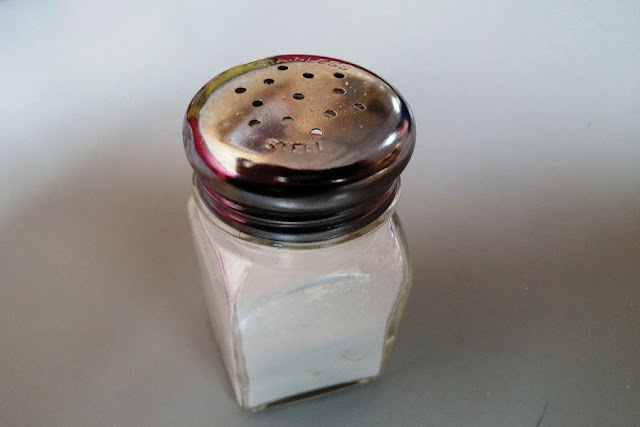 However, it is true that too much salt in your diet can lead to a myriad of health problems like hypertension and high blood pressure, which can cause several health diseases. So, it is always better to use sodium in a right amount to gain its numerous health benefits. Sodium is a macro mineral that despite many claims to the contrary is essential for good health. It has a number of roles in the body, including supporting proper muscle contractions and nerve transmissions. The sodium is mainly found in extracellular fluids and inside the cells. How Sodium rich diet foods benefit your body? Beneficial for the normal functions of the cells. Initiates and regulates contraction of heart. Helps in absorbing glucose and in transportation of other nutrients across cell membranes. Balance water level in the body. Regulates the reaction of pancreatic juice and bile due to sodium carbonate. Alters the proportion of acid and alkaline phosphatase in the kidneys, thus helps in controlling the reaction of urine. Essential in maintaining the contraction of the muscles. Salt is one of the most beneficial discoveries of early human civilization. It is not just a flavoring agent, but is a good source of sodium too. The amount of sodium you consume is directly related to the quantity of salt you intake. So always make sure that you consume salt in the right amount to balance the level of sodium in the body. Believe it or not, seafood is the best source of sodium that naturally offers your body several health benefits. Some of the different types of sodium rich seafood that you can include in your diet are lobsters, clams, oysters, octopus, scallops, cod, mussels, crabs etc. Most of the dairy product nowadays contains salt and preservatives which help in increasing the level of sodium in them. The good thing about dairy products is that they are easily available. You can include curd, paneer, buttermilk, cheese, and various other dairy products in your diet. Starfruit, also known as Carambola, which are not only rich in antioxidants and Vitamin C, but are a great source of sodium also. This star fruit also contains a certain amount of sodium, sugar as well as citric acid. There are many vegetables that naturally contain sodium that they get from the soil like eggplant, peppers, potatoes, dandelion, turnip greens, mustard, spinach etc. However the quantity of sodium content also depends on the area where the vegetables are grown. Salt is often used as a preservative to prepare meats due to the rich amount of sodium found in Salt. Some of the meats that you can include in your diets include salami, beef jerky and bacon for its good sodium content. Not many people know this, but there are many spices that contain a good amount of sodium and is highly beneficial for life. Some of the spices that you can use to increase your sodium intake are cloves, cumin, saffron, chilli powder, mustard, spearmint, coriander leaf, curry powder, onion powder, dill, mace and many others. Fruits are a wonderful source of sodium and contains many other vital nutrients and minerals that provide uncountable health benefits to your body. Fruits are also a rich source of antioxidants, minerals, vitamins, as well as sodium. Watermelons, figs, grapefruit, plums, grapes, banana, cantaloupe, are some of the fruits that are not just beneficial, but offers innumerous benefits to your body. You can also drink fresh fruit juices like orange juice, grape and pineapple which also contain sodium because of the presence of salt and preservatives. Coconut Milk is one of the most nutritious drinks we have around us. It contains many vital nutrients like carbohydrates, protein, fat, sodium, carbohydrates, calories as well as sodium. This might surprise you, but beverages like tea, coffee, black tea, beer and wine have large amount of sodium present in them. Hence, by consuming adequate amounts of sodium required by your body is the best way to provide your body optimal health. Many studies and researches conducted on Cheese reveals that cheese contains disodium phosphate, which in turn increases the sodium content. There are many high sodium content cheese available for use like Cheddar, Parmesan as well as American. You can also use cheese spreads which are also a good source of sodium. Do you know, under-consumption of sodium can cause health problems like Hyponatremia? So make sure that you are consuming enough salt to maintain the proper functioning of your body. It is suggested that sodium consumption should be below 2300 milligrams, or just 1 teaspoon per day. People with low blood pressure, kidney disease or any kind of heart problem should always try to consume 1500 milligrams of sodium or less each day. Avoid consuming processed and packaged food items like vegetables, canned soups, frozen dinners, pudding, sauce mixes, instant cereals etc. It is advisable to check the sodium content of the product before buying it. Do not consume too much sodium to avoid any type of health complications and problems in future. Not many people realize it, but maintaining a proper sodium level is very vital for many chemical reactions inside your body. So now that you know the benefits of sodium and the best foods to consume for the sodium intake, you must include these foods in your diet.